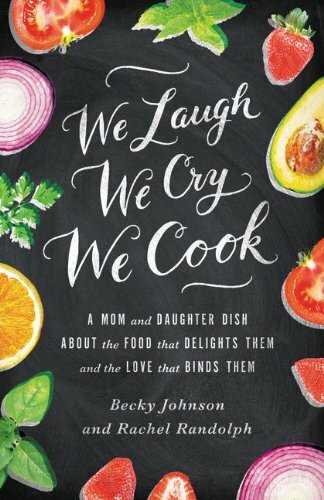 So what do you call someone who makes vegetables the “Star of the Show,” and doesn’t eat meat — but also doesn’t get nervous if a ham hock touches her pinto beans,or shrink back when a spoonful of beef gravy is ladled over her mashed potatoes, and sometimes considers “bacon” to be in a food group all its own? If this is a new term to you, as it was to me, here’s the basic scoop: A flexitarian diet is one that is plant-based with the occasional inclusion of meat products. [In 2003, the American Dialect Society voted flexitarian as the year’s most useful word and defined it as “a vegetarian who occasionally eats meat” in 2012, the term was listed for the first time in the mainstream Merriam Webster’s Collegiate Dictionary. I still enjoy cooking for the meat-eaters in my family, so I will continue to post recipes now and again that include beef, chicken or seafood and fish. However, my Daughter The Beautiful Healthy Vegan, has apparently influenced my food preferences over the year we’ve been writing this blog and our book together. It all began when I noticed that after experimenting with eating “Rachel’s way” when I visited her or she came to our home, my stomach would feel so nice and flat, even after eating a good-sized plate full of delicious food. I made the decision to go 95% vegetarian for a month, after having been served two really horrible, dry, meat-based meals while on vacation. The thought of meat, at that time, began to nauseate me and it was freeing to just do away with it altogether. Turns out this was the easiest dietary change I’ve ever made. I found I was actually relieved to have an excuse to double up on the veggies and by-pass meat (or have just a bite or two if it really looks and sounds good). One benefit of being a vegetarian is that you start to look at veggies in a whole new way. Since they will make up the bulk of your meal, you really want them to taste incredible, to come out of their former dull side-kick status and tap-dance into their own spotlight. 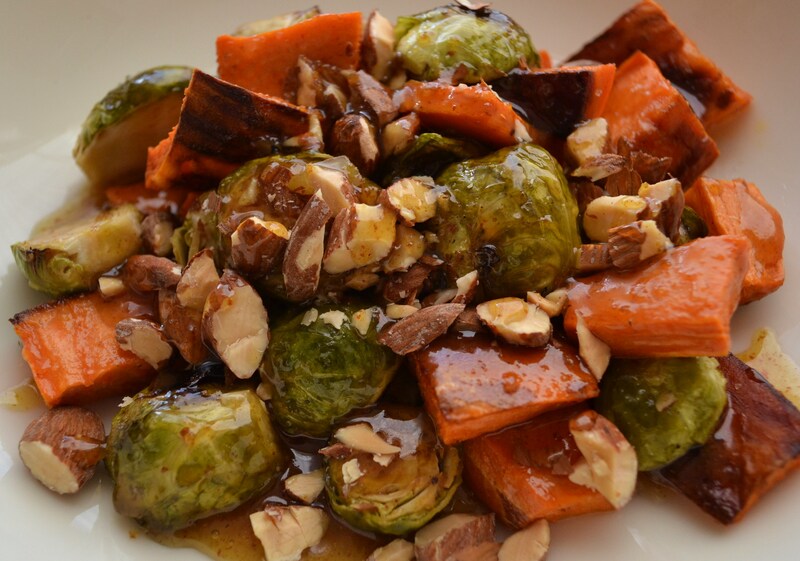 This dish, made of roasted Brussels Sprouts, sweet potatoes and almonds, then drizzled with a butter, maple, mustard and balsamic glaze, will steal the show away from just about any hunk of cow or chicken.. You could serve it as is, or over some pasta, gnocchi, brown rice or quinoa. The almonds can be left whole for extra crunch or chopped or slivered.. your preference. Toasted walnuts are be delicious. It is also yummy and a bit more filling with some sliced and browned Field Roast apple sage sausage (my favorite vegan meat substitute). 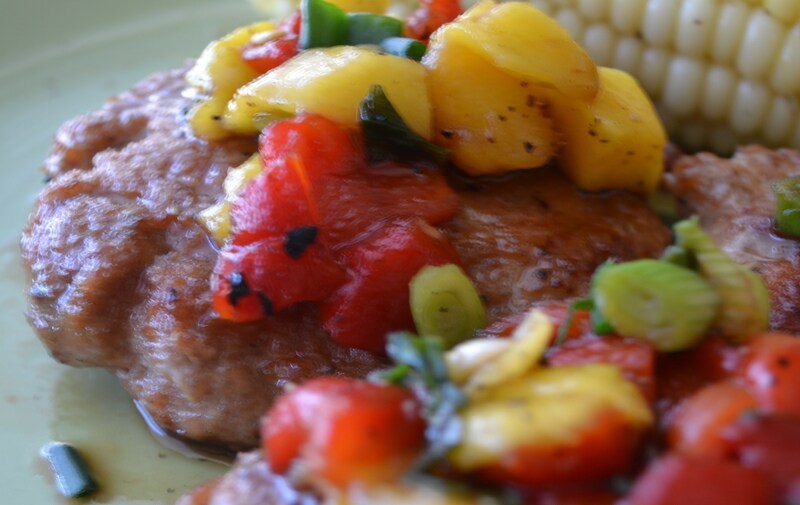 To easily extend it to the meat eaters in your home, add a little crumbled brown Italian turkey sausage. Preheat oven to 400 degrees. Squiggle olive oil over large baking pan or cookie sheet. 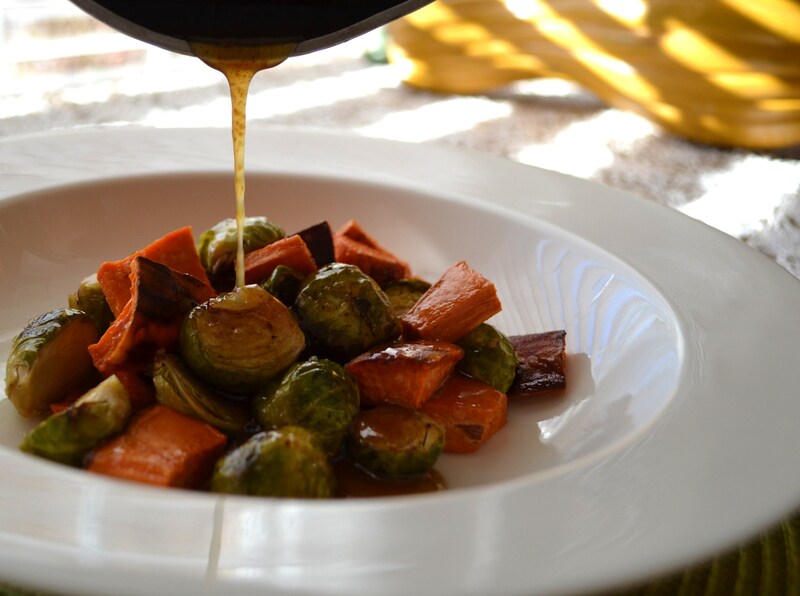 Lay Brussels sprouts and sweet potato on the pain, along with garlic cloves. Toss all of this gently in the oil with your two clean hands, coating all sides of veggies. Sprinkle with salt and pepper. Let roast for 20-30 minutes, turning once during the middle of cooking, until the veggies are starting to turn brown in places, and caramelize. 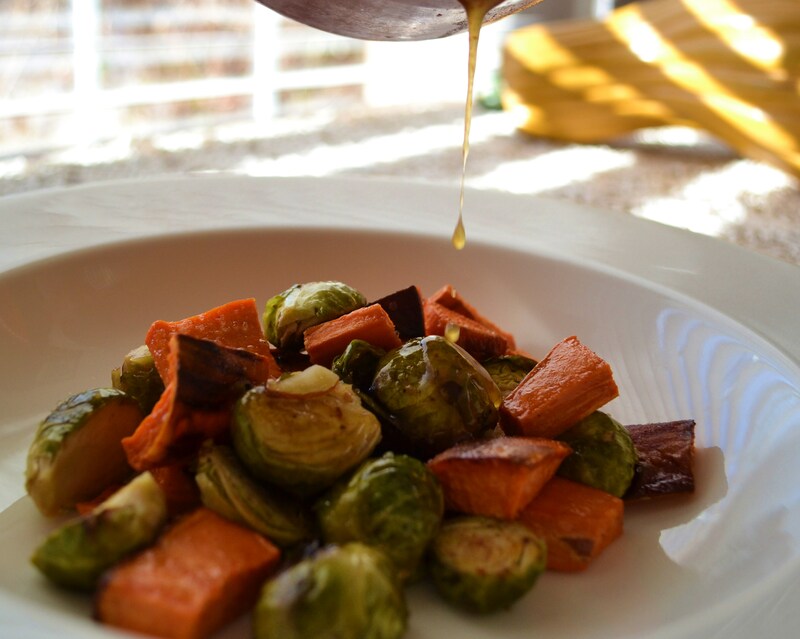 Mash the roasted garlic with a fork and then gently toss it with the roasted veggies in a heat-proof serving bowl. In a small saucepan, heat syrup, mustard and butter together and let boil and simmer until thickened a bit, like a glaze. Remove from heat and stir in vinegar. Pour over veggies and gently stir. Add more salt and pepper if needed, to taste. Garnish with toasted almonds. My daughter Rachel posted a story about her “nesting instinct” gone wild in the kitchen this week. I am now close to menopause but my husband would swear that I have the strongest nesting instinct of any woman who has ever lived. And the most quirky one. The thing is, my nesting instinct is to make a literal ‘pack rat’s nest’ out of our bed. Every night Greg climbs into bed and hands me various and sundry items he finds on and under the bedspread. Last night it was a camera. (Before you get the wrong idea: I was posting pics of food on my blog.) There is always the standard computer, books, paper and pen, eye glasses, but other items that have made their way into our bed-nest include, but are not limited to: earrings, scissors, credit cards, clocks, various food stuffs, Legos, lost keys and checks. Greg actually loves to find things: looking for lost golf balls and coins makes him happy. I am sure he was a champion Easter Egg hunter as a little boy. So he rather gets a kick out of what unusual items he finds each night, nestled among the sheets and blankets. 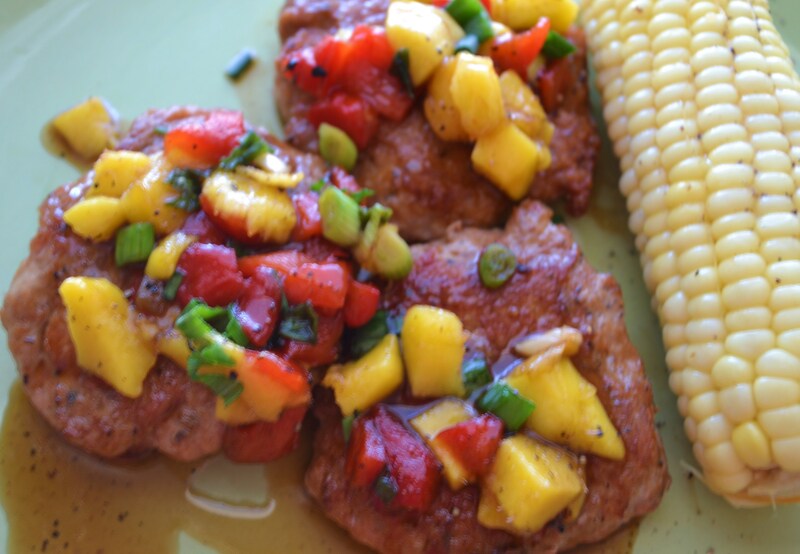 When I happened upon this recipe, a variation of one that Rachael Ray made on her show, I was almost as thrilled as Greg was to find my missing shoe in the bed. It’s definitely a “Eureka!” dish. 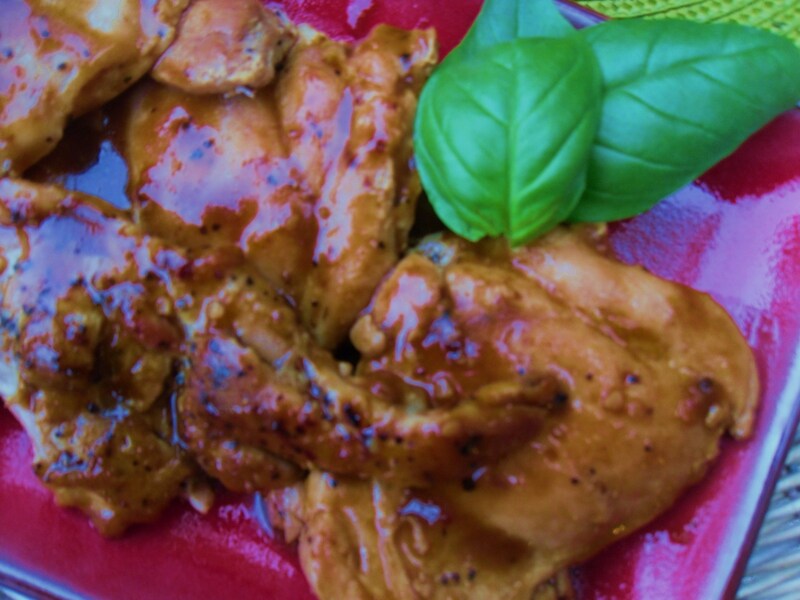 Very few ingredients, very little time, very inexpensive and the sauce is so scrumptious, you’ll want to eat it with a spoon. I made this twice for two different groups of girlfriends, serving it alongside risotto and a a crisp salad. They lapped it up! Another of my best “go-to” recipes, this one yields lots of praise and requests for the recipe, for so little effort on the cook’s part. 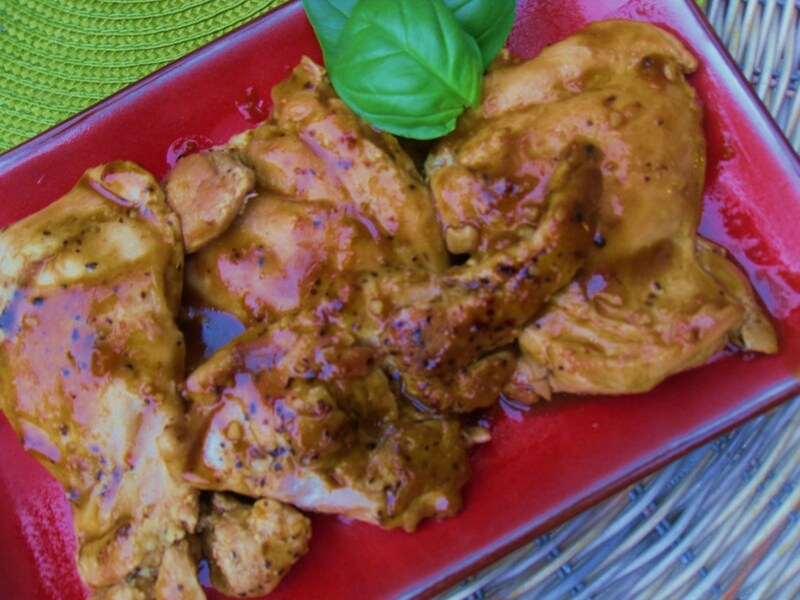 Lightly season both sides of chicken pieces with your favorite seasoned salt. 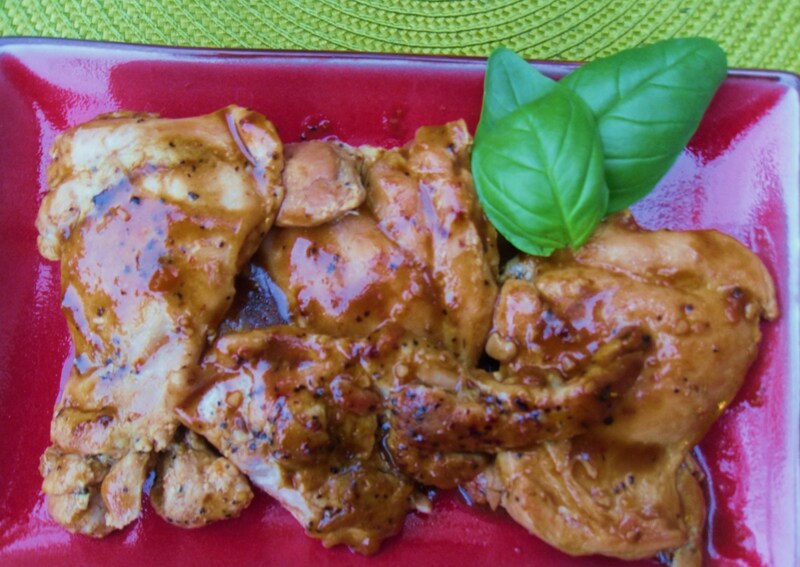 In a hot large skillet with about 2 T. olive oil, saute and brown boneless chicken pieces on high heat until both sides are golden brown and chicken is cooked through. (You may want to turn down heat and cook with a lid on top if the chicken doesn’t get done in the middle, after the searing.) Remove pieces at this stage on to a platter and cover to keep warm. Vegan Variations: This glaze, above, is fabulous drizzled over a dish of roasted butternut squash and walnuts or sauteed tofu. Just sub vegetable broth for the chicken broth. This was my husband when we first got married. I don’t remember cooking much in our first year of marriage. In fact, I have no idea what we ate. I hardly have a single memory in that tiny galley kitchen. Between Jared’s aversion to all things that made food delicious to me and the hideous marbled yellow laminate counter tops with cracks on the corners, I must have felt less than inspired. When we moved to a new town house with a bright white kitchen near Galveston, I suddenly found myself looking for excuses to be in the kitchen. I started shopping at Farmer’s Markets and reading food blogs and became determined to get Jared to love veggies. Little by little, I found ways to prepare certain vegetables in a way he would eat them. He’ll eat onions if they are caramelized or chopped fine and sauteed in a dish. He’ll eat his peas in a split pea soup. And I can get him to eat almost anything wrapped in a tortilla and dipped in salsa. Thank goodness, because in a crazy turn of events, before we moved out of that town home a year later, we had become full on vegans. The preparation that finally got Jared raving and begging for veggies was roasting them. 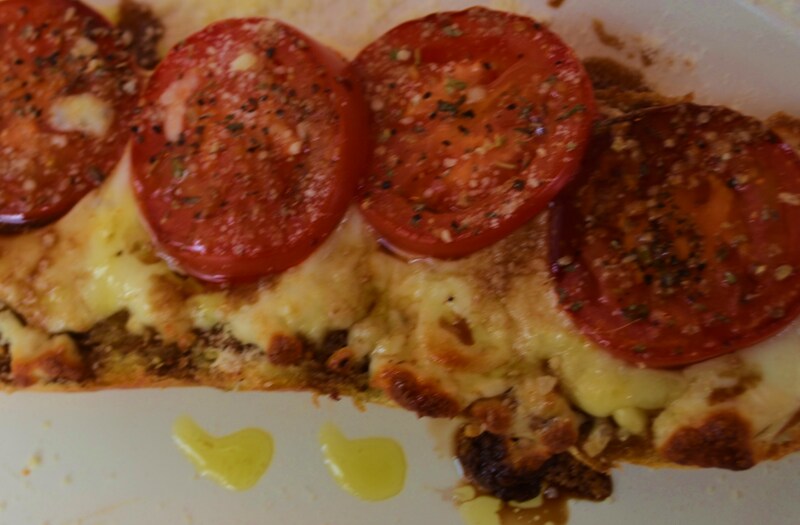 If it’s coated with a little evoo and seasoning and crisped up to perfection (to him that includes a few burnt bits on the pan), he’s a happy husband and a happy veggie eater! This method works wonderfully with asparagus, any root vegetables, broccoli and cauliflower, onions, even chickpeas. Try it with a vegetable you think you don’t like and see if it changes your thoughts on it. Roasted vegetables are easy enough to serve up on a weeknight and beautiful enough to serve to guests for a celebration dinner. Preheat oven to 400. Spray large cookie sheet with nonstick spray. Add balsamic vinegar, salt, pepper, and Italian seasoning, and toss again. Pour veggies onto the cookie sheet and spread around. If they are piled on top of each other, use a second pan. Take the garlic, remove the lose skin, and chop the top of the head off the garlic so the inside of each clove is exposed. Place the bulb on a piece of foil and drizzle the top of the bulb with olive oil. Wrap the foil around the clove. Add the foil wrapped garlic onto the pan of veggies (sitting upright). Check this tutorial out if you need a visual. Bake the veggies and garlic for approximately 40 minutes. The potatoes and carrots take the longest to cook, so cook until they are soft in the middle and crispy on the outside. Remove the garlic from the foil and allow to cool for a few minutes. Carefully either squeeze the garlic out (like toothpaste), or use a fork to remove each clove. 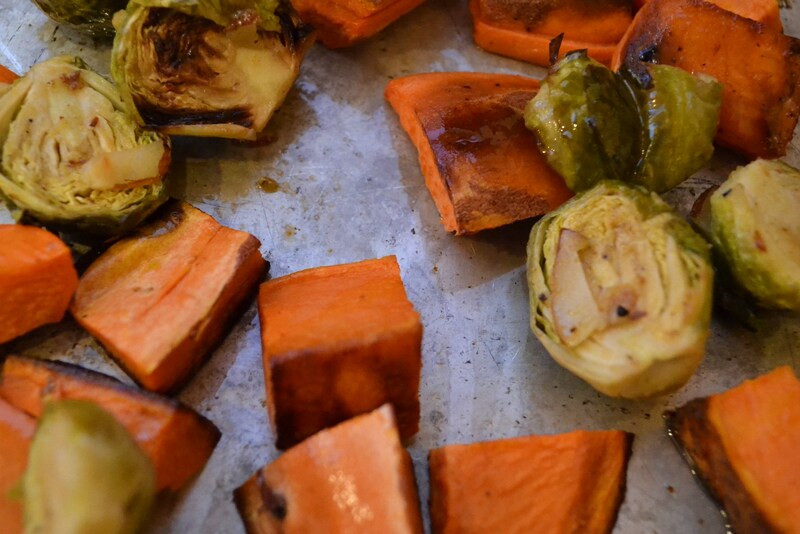 Toss in with the roasted veggies. 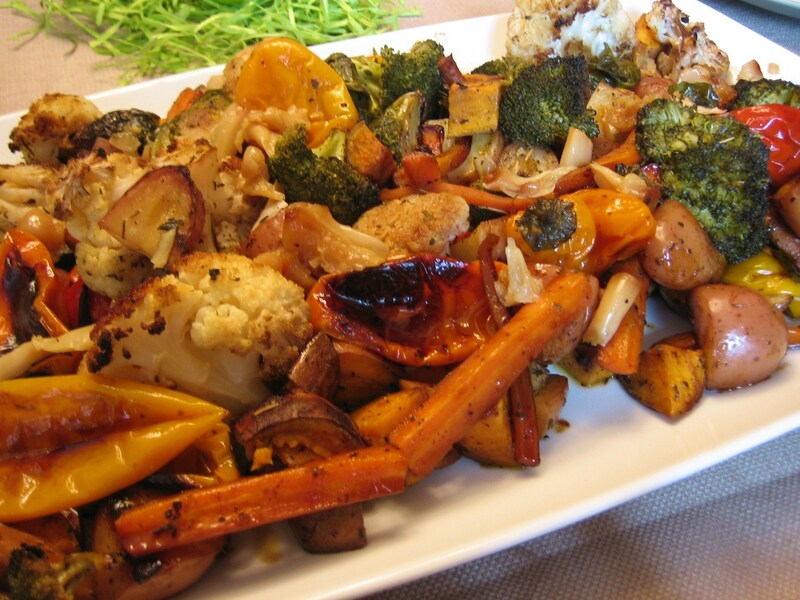 The garlic is delicious and really elevates roasted veggies! 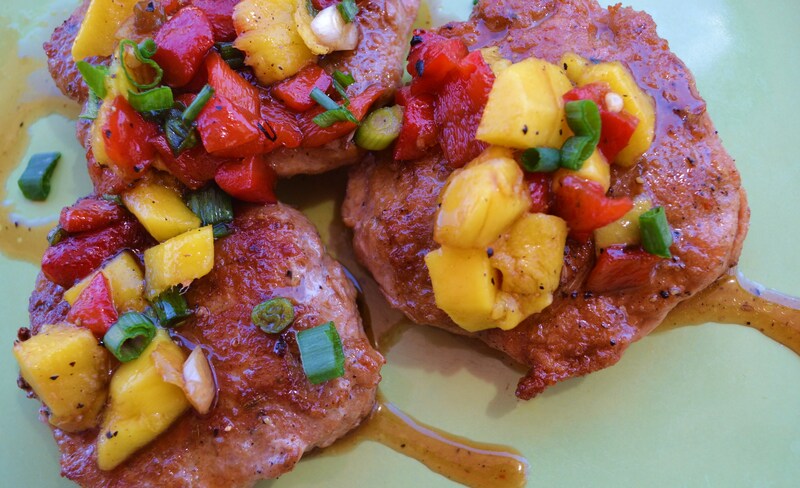 Your friends will most definitely track you down for the recipe. Trust me.